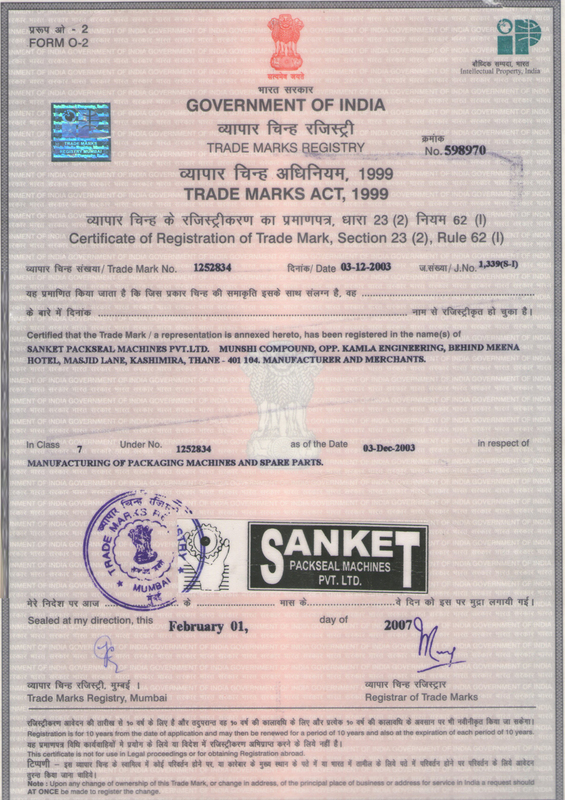 Sanket Packseal Machines Pvt. Ltd., A Leading Name In The Packaging Machines For Any Specific Requirements. i.e. PVC Labels, Pouch making machines, Security Holograms Cap Sleeves machines, Food & Non Food Products, Powder, Cosmetics, etc. These Machines Are Running Successfully All Over India & Being Exported World Wide and Packing Various Products. 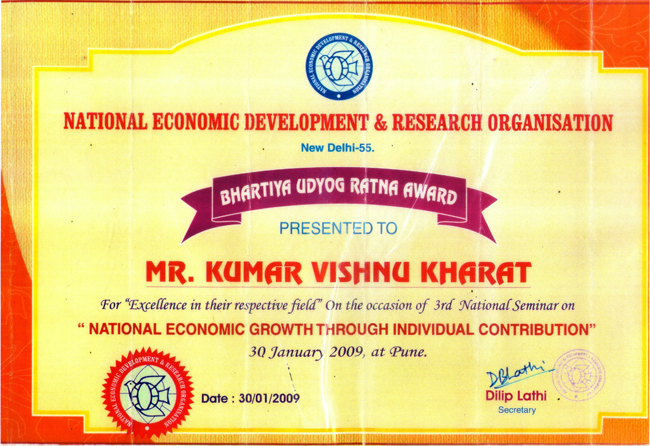 In Packaging Industry Mr. Kumar Kharat contributed his efforts from last 18 years. Mr. Kumar Kharat the chairman of M/s. 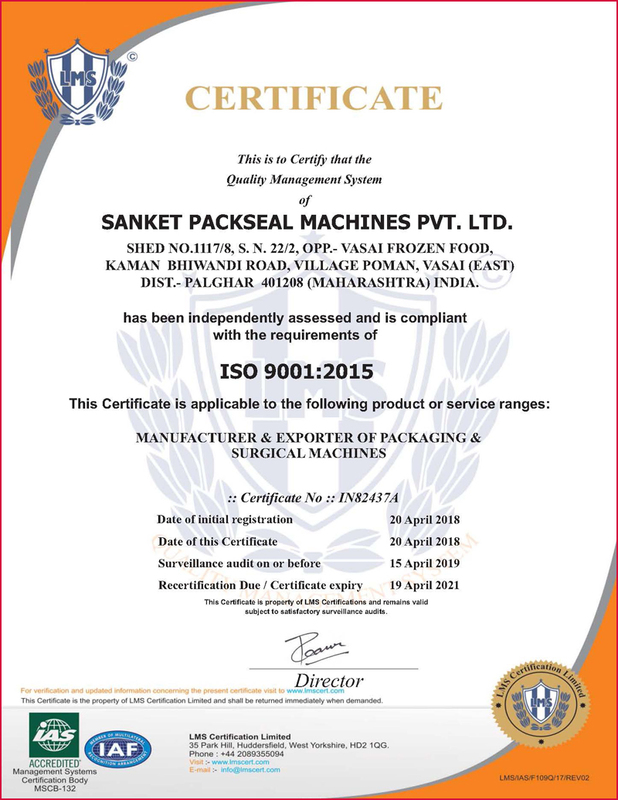 Sanket Packseal Machines Pvt. Ltd. has started his career since 1986. After educational life he had jointed with packaging industry. 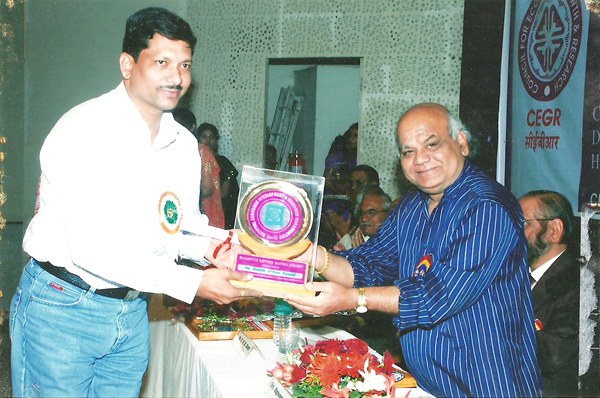 During his job he was impress from Packaging Market & Uses of Packaging Item & Requirement of Packaging Material. But that time very Limited Equipments were in market for manufacturing & converting of packaging material. So he thought to manufacture packaging equipments those help to make Quality packaging Material and as well as Improvement of Quantity. As per his field experience which practical problem in operation of packaging process and critical to operate of machines. He has Developed & Designed Simple Operation, High Speed Machine. In 1998 he started a proprietor firm known as M/s. Sanket Packaging Machinery. 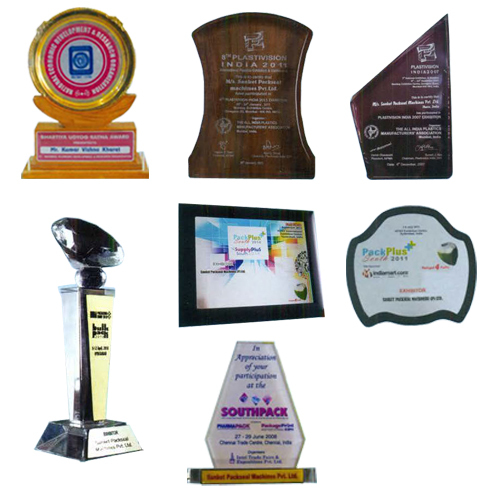 The known firm has been very Popular & Famous due to their Quality Product. Their Machines are Easy to Operation, High Speed, Micro Processor Based Controlled, Maintenance Free and High Performance. In last 8 years the firm captured 10% packaging & converting plant in India. In year of 2006 the firm converted into company known as M/s. 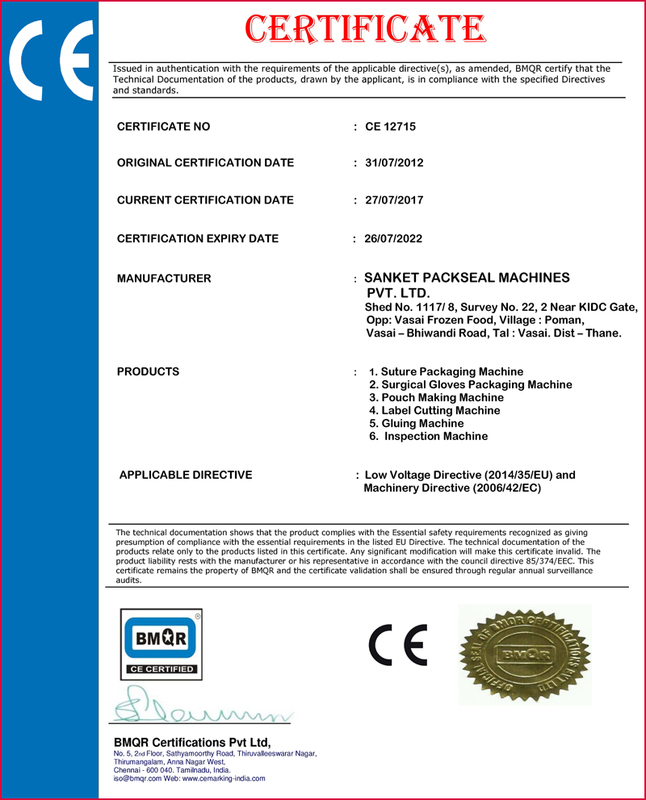 Sanket Packseal Machines Pvt. Ltd. with trade mark registration. Company policy is to make Quality Product to Maintain Quality and to Improve Design Standard for easy to work with Competitive Price. With the world class Servo Motors & Drives N other latest technology, We Offer Sophisticated State of Art of Microprocessor Technology with User Friendly Operation of Machines, Combination of Our Knowledge of Packaging Material & Requirement of Future Technology. We Offer You a Packing Line Having Higher Efficiencies, Reliability & Easy Changeover. We are Proudly Introducing Servo Package In Pouch & High Speed Label Machines.